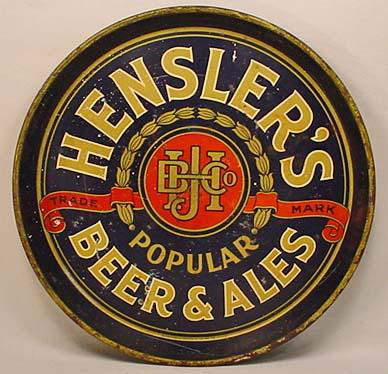 Serving Tray for Hensler’s Popular Beer & Ales from The Hensler’s Brewery. The center holds the company trade mark. The logo in particular is very interesting, but the tray is a great item on display.